Beyonce's Coachella Performance Included a Destiny's Child Reunion! Fans Are Crazy in Love With Beyoncé’s Coachella Performance, Which Included a Destiny’s Child Reunion! Welcome to Beychella! 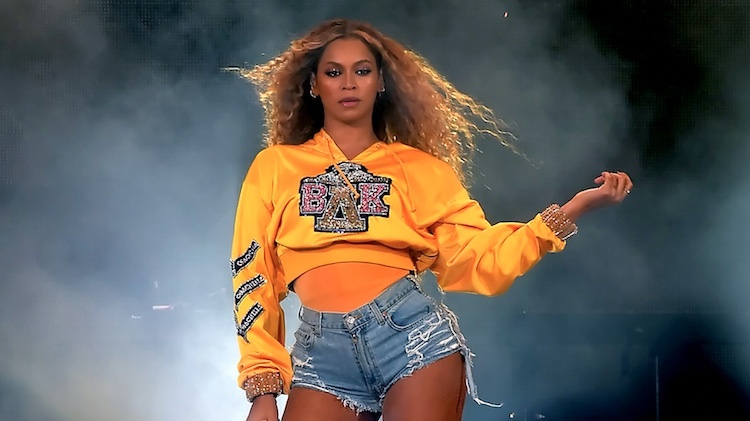 After pulling out last year due to her pregnancy, Queen Beyoncé strutted her way to the Coachella stage on April 14 for a magical and unforgettable performance. The singer made history as the first black woman to headline the music festival — but she wasn't alone, as she was joined by dozens of backup dancers, a marching band, husband JAY-Z, and Destiny's Child members Kelly Rowland and Michelle Williams. “I am so excited to see the BeyHive tonight at Coachella,” Beyoncé tweeted prior to the show. "We have been working hard and have a special show planned for you so please be safe and stay hydrated. We need your energy! There will be an hour intermission before my performance, so mark your spot, charge your phones, grab your drinks. Can't wait to see y'all at 11:05pm!" The superstar opened her set with hits like “Crazy in Love" and “Formation" before performing a remix of "Sorry," and she then belted out tracks including "Drunk In Love," "Diva," and "Flawless." Eventually, JAY-Z joined his wife to rap on "Deja Vu," but one of the most exciting moments was still to come: a Destiny's Child reunion! The trio of women came together and sang iconic tunes like "Lose My Breath," "Say My Name," and "Soldier." The mother of three then welcomed sister Solange Knowles to the stage for a short dance number before performing "Single Ladies" and "Who Run The World (Girls)," and towards the end of the show, she took a moment to address the crowd before ending her impressive set with an acapella rendition of "Love On Top." "I was supposed to perform last year but I got pregnant, thank God. I had time to dream with two beautiful souls in my belly and this is everything and more I had in my dream, so thank you for sharing this with me," she gushed. "I want to sing this last song to all my incredible, beautiful fans. Loyal fans. Ride or dies. I love y'all." Queen B and her husband are hitting the road in June for their On the Run II Tour, but in the meantime, you can stream her full, dazzling Coachella peformance here.